Tomorrow we will be boarding the Carnival Liberty for a four night family cruise. Of course we have had to get prepared, which is a serious process. Mani-Pedi’s for the Girls, Check. New Bathing Suits, Check. Large Quantities of Sunscreen, Check. The packing process has begun and we are printing luggage tags and getting all our documents in order. The excitement has been building ever since we booked this cruise and our two Girl’s age Eight and Sixteen can’t wait for tomorrow. This will be our Eight year old’s third Carnival Cruise. She is especially looking forward to the Shows, Chocolate Melting Cake and in her words “Forever Ice Cream”. Since we live in Florida, we can easily drive to Port Canaveral. We often stay at a pre-cruise hotel the night before, but we have chosen to drive directly to the port this time. A first for us will be using an off site port parking service, Park-N-Cruise. They are located only two minutes away and have free shuttles for the four of us. We opted for the Express Valet service which brought our package total to $55.20 for 5 Days of parking. Compare this to $96 for basic parking in the Port Canaveral Garage. I’ll let you know how this works out for us. I last sailed aboard Carnival Liberty in 2015 for a special Carnival LIVE Cruise, featuring Journey. It was an amazing cruise and concert. I’m looking forward to getting onboard and seeing the new additions of Seafood Shack and Ol’ Fashioned BBQ from her December 2016 Drydock. This will be my first chance to experience these two lido deck eateries. As a serious BBQ aficionado I am curious how it will compare to Guy’s Pig & Anchor BBQ I experienced aboard Carnival Magic. The Girl’s and I are looking forward to seeing the Playlist Production Shows and taking part in the Sail Away and Mega Deck Parties. They love to sing and dance. At the top of our list of family activities we want to try is the Towel Animal Theatre, Hasbro The Game Show, Build A Bear Workshop and our favorite Dive-In Movies. I would be perfectly happy staying on the ship in some ports. However, My family loves the beach and wants to get off the ship. So I am trying something different in Nassau, Bahamas and booked our first resort Day Pass at the British Colonial Hilton Nassau. I spent allot of time looking at Day Passes and other options in both Nassau and Freeport. Some resorts restricted by age or were couples only. So the choices were limited. 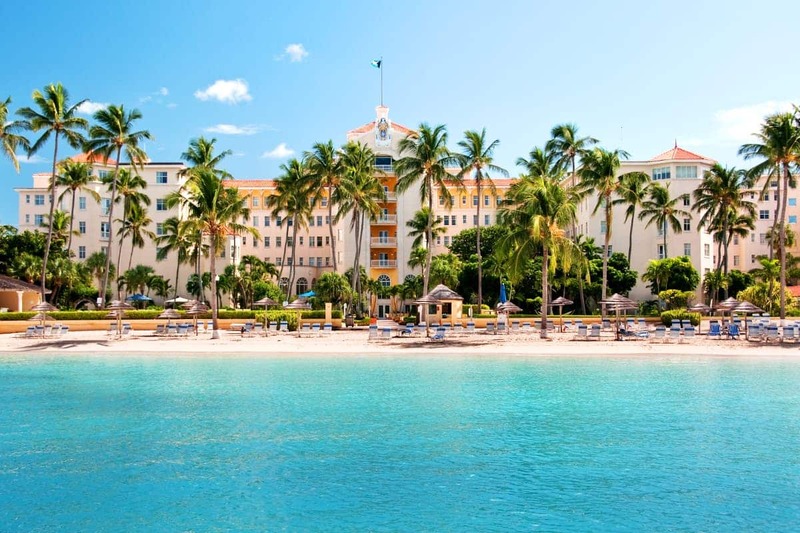 I settled on the British Colonial Hilton Nassau and we are really looking forward to it. I look forward reporting back on our experience. For our day in Freeport, Bahamas we will be taking a Beach Getaway excursion offered by Carnival. It is from 8:30am to 1:15pm. We wanted to enjoy the beach in the morning and also get back to the ship for a dip in the pool before sail away. I visited this same beach back in 2015 and I can’t wait to share this piece of paradise with my family. 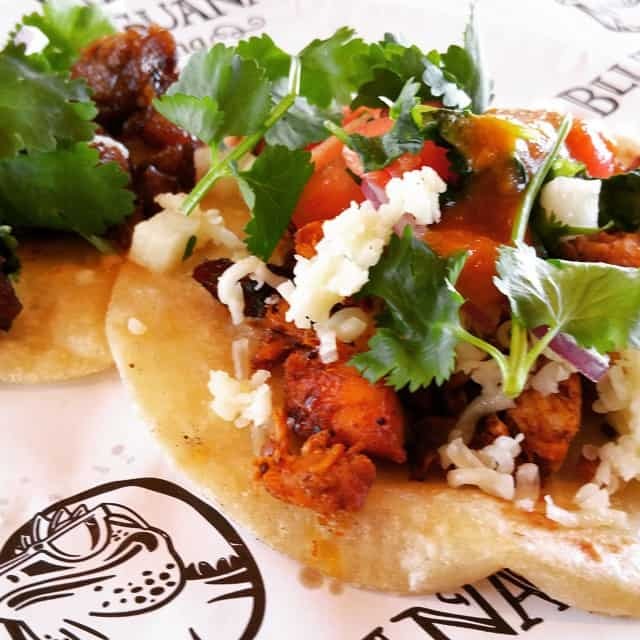 I’m a big fan of the Blue Iguana Cantina and looking forward to visiting for Breakfast and Lunch. It really is wonderful. Our cabin will be our first Quad Cabin Balcony on Carnival. In the past we had two different cabins, so I’m looking forward to having a balcony cabin and the girls are excited to try out the Upper Bed (kinda like a Bunk Bed). It even has a small ladder. Just being on a ship at sea with family and watching the ocean pass gives me peace and comfort. Making memories with my family. A cruise is really a great combination of so many things that are hard to replicate in any other form of vacation. Stay tuned and follow us on Cruise Addicts social media channels. I will be posting often throughout the cruise and you can look forward to more in-depth coverage upon our return. If you have any questions about the Carnival Liberty or this cruise just leave a comment below.